Experience 'hi-res text graphics' and mind bending action puzzles! Maybe too retro for some! 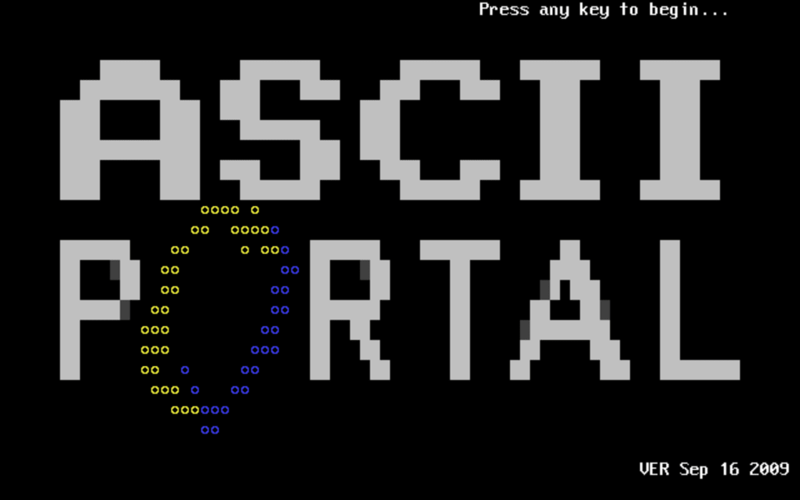 Valve software's Portal is one of the most influential and enigmatic titles of the last decade, and ASCIIpOrtal is a retro style game that takes it as a major influence. The basis of both games is the same. For an unexplained reason, you find yourself in a strange environment, with only a sarcastic robot directing you, and a portal gun, which allows you to shoot two portals at walls. 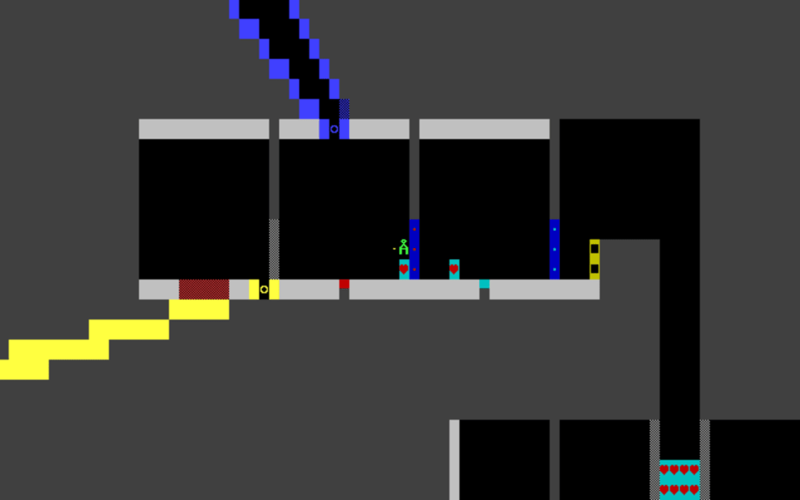 These portals are connected, so when you enter one, you will exit where the second is placed. 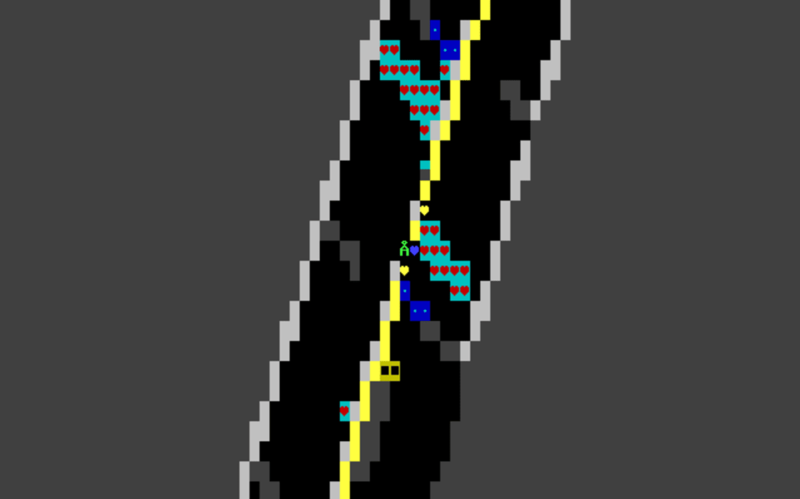 This makes for some fascinating puzzles, which require you to learn a new way of thinking about movement - the portal way, or in this case, the ASCIIpOrtal way! 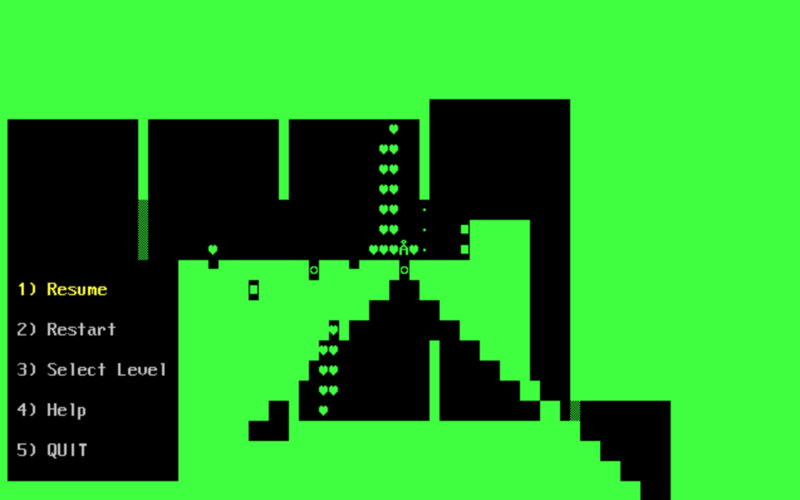 This ASCII based action puzzler is really well done, with atmospheric sound effects and music. The robot voice, that both instructs you and makes sardonic remarks about you is also good - the speech is written in text, but accompanied by a spooky voice like sound effect. There's tons of game here, it's tough and long. There's a level editor, and you can download user created maps too. The keyboard controls are easy to learn, although movement in the game is so basic it feels strange in 2009! If you're looking for fast paced high definition gaming, this is not it. There is no reason for a game like ASCIIpOrtal to exist today, and it only does so because some people will enjoy the retro aesthetic. If you're a retro gamer, this is one of the best releases this year. Other gamers might wonder why anyone would play such an archaic looking game! What do you think about ASCIIpOrtal? Do you recommend it? Why?